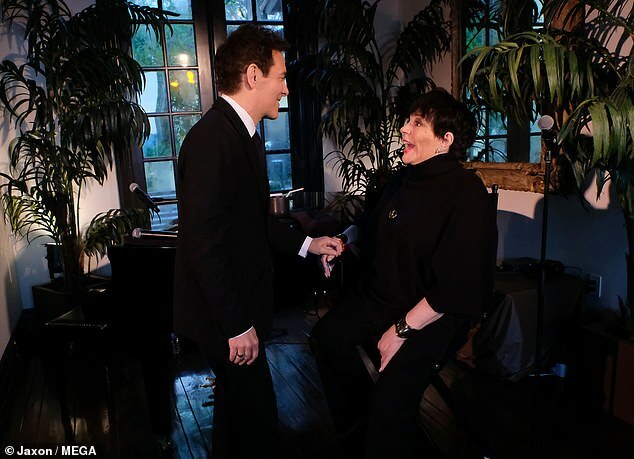 Liza Minnelli was seen having a fun evening with friends on Sunday. 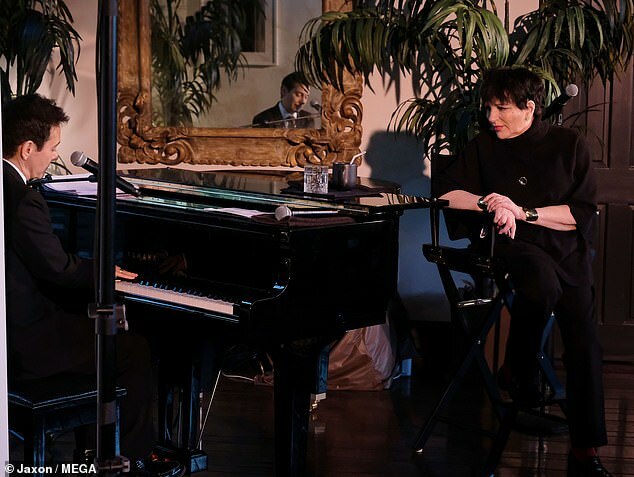 The 73-year-old actress and singer - best known for her 1972 movie Cabaret as well as the 1981 comedy Arthur - wore all black as she took the stage with Michael Feinstein at a party benefiting The Great American Songbook Foundation and Treatment Action Group at the home of Kevin and Neil Goetz in Beverly Hills. 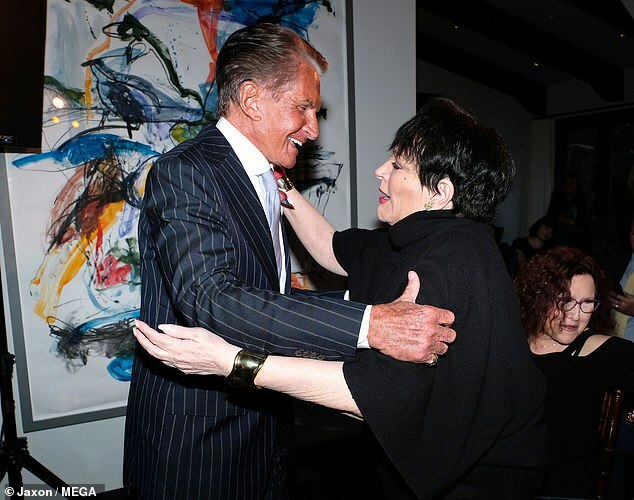 Also with the icon was actor George Hamilton, best known for The Godfather Part III and Zorro The Gay Blade, as well as Mitzi Gaynor from the movie South Pacific. 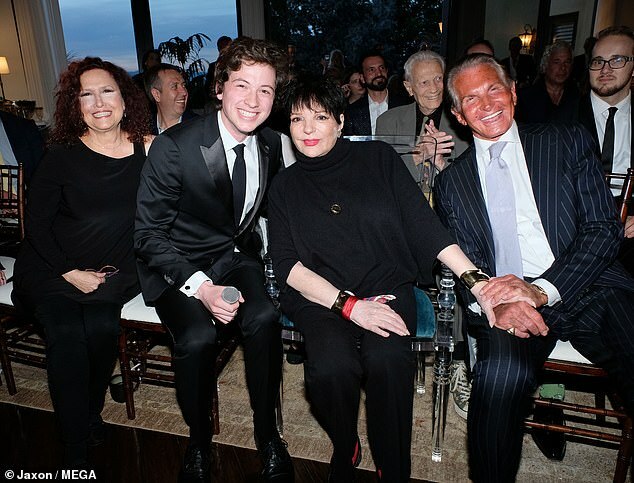 Liza took front row at the event when she was in the audience and was photographed with Melissa Manchester and Finn Sagal. 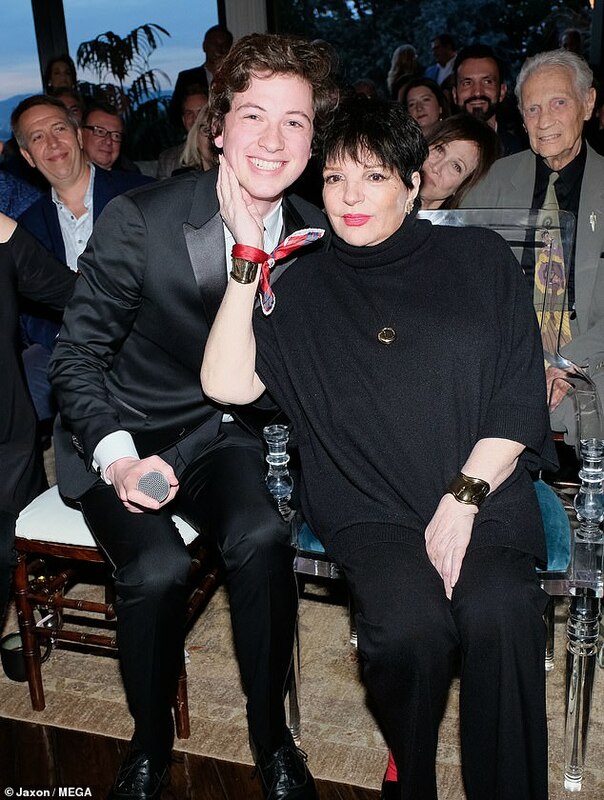 Minnelli - the daughter of Judy Garland and Vincente Minnelli - had on shocking red lipstick and wore her black hair in its signature black color. The star belted out several songs to a small audience. 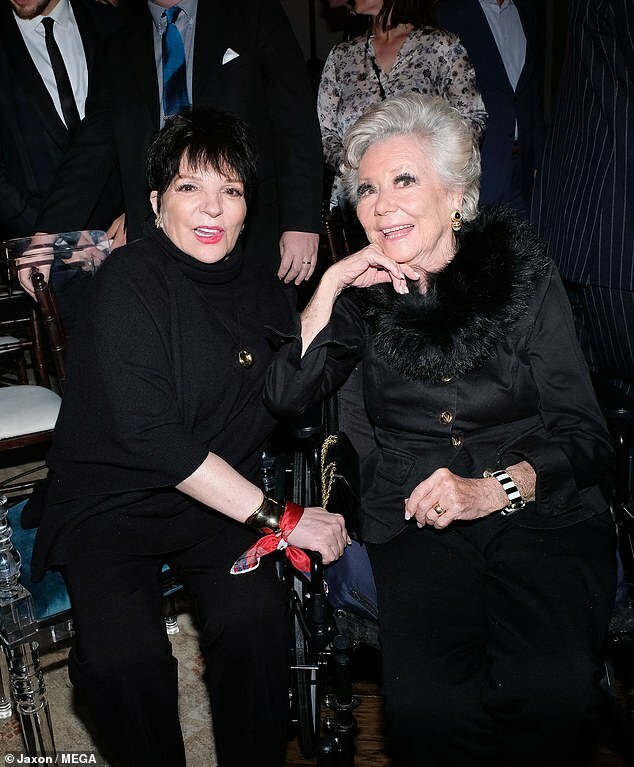 This comes months after Liza said she was not happy with the new movie about her mother Garland, best remembered for Wizard Of Oz. Renee Zellweger is playing Garland in a new biopic about the late actress' life. 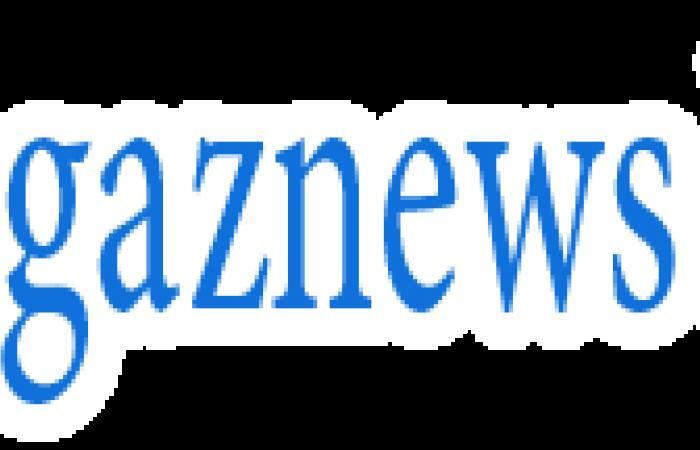 And Liza said she does not 'approve nor sanction' the Bridget Jones' Diary star portraying her mother in the upcoming film. Liz took to her official Facebook page to set the record straight following allegations she had 'bonded' with Renee, 48, over the film.